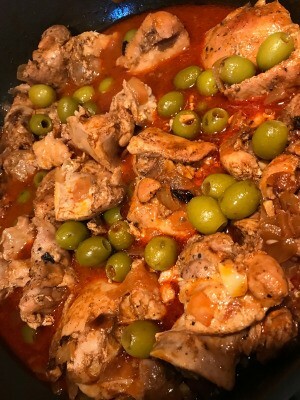 Seasoned chicken thighs with green olives makes a delicious main dish to serve with rice. This is a guide about chicken with green olives . One of my favorite meals to make on a colder evening. Very delicious and easy to make! Pairs perfectly with rice. 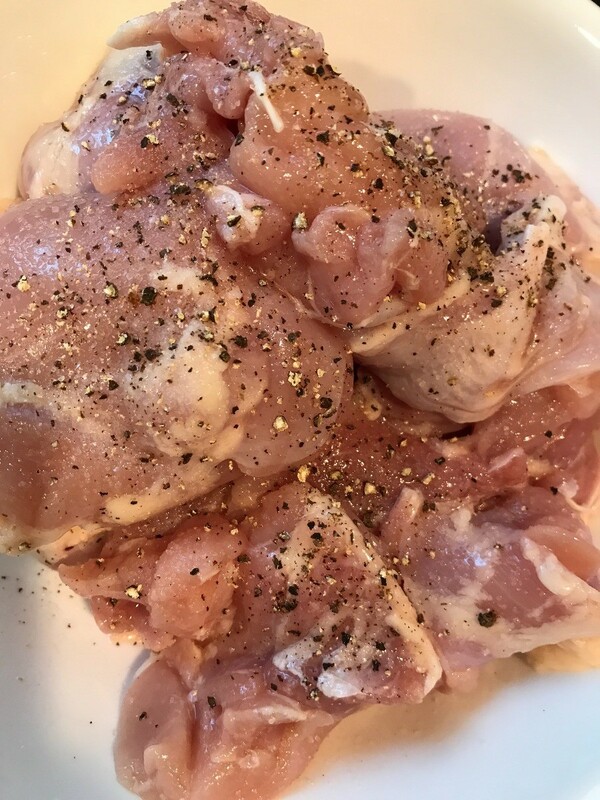 Using your chicken of choice (I used thighs) wash and pat dry. 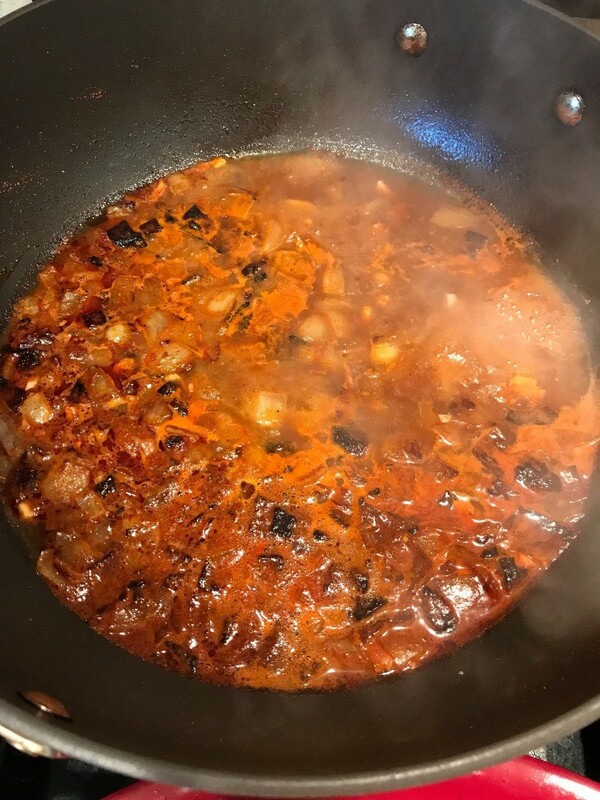 Marinate with dash of black pepper. 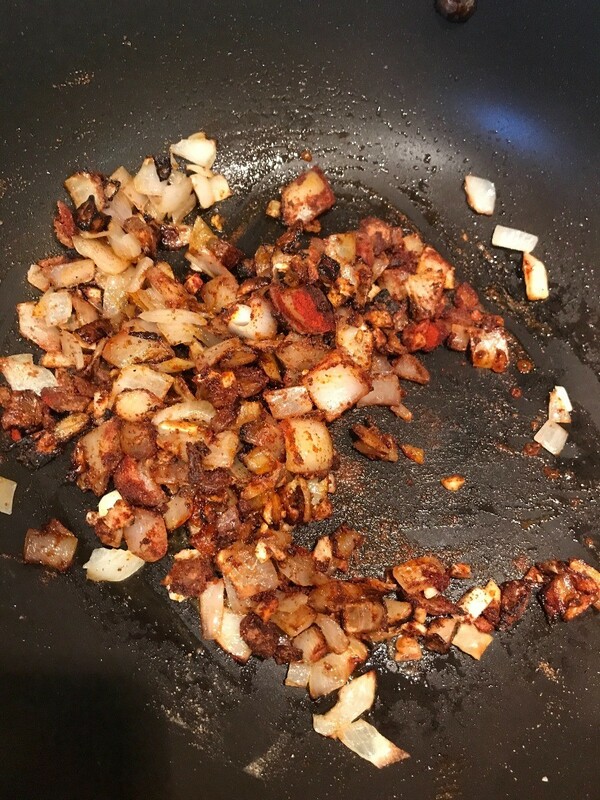 In a large pan over medium heat, add olive oil and sauté onions until brown. Then stir in garlic and seasonings (ground cumin, cinnamon, ginger and paprika). Add chicken broth and bring to a boil. 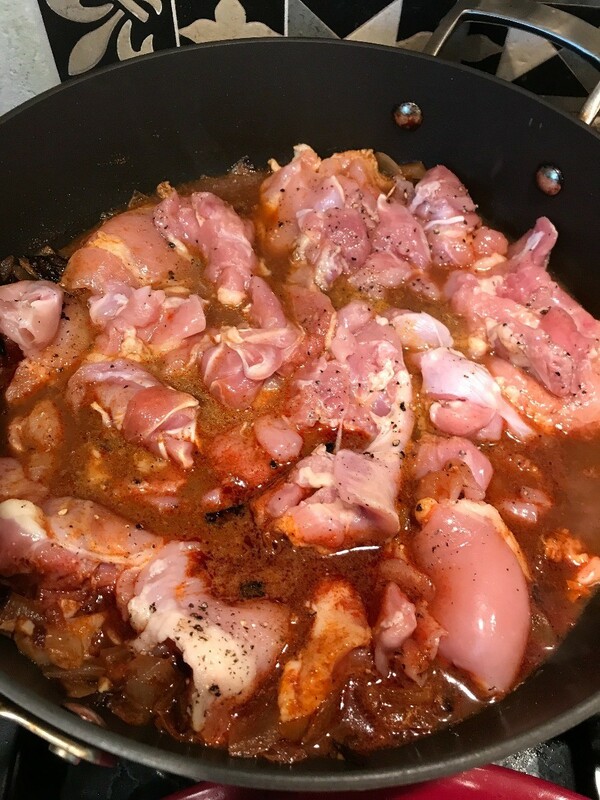 Then add chicken thighs and allow to simmer on medium-low heat until chicken is throughly cooked for 20-30 minutes. Remove chicken. Then add green olives and lemon juice and cook for another 5 minutes to thicken the broth. Then add chicken back in.